Help your National Library build the archives of the future. The NLI is collecting websites to ensure a record of the online life of Ireland is preserved. This year we are asking your help to archive the commemorations of this year. 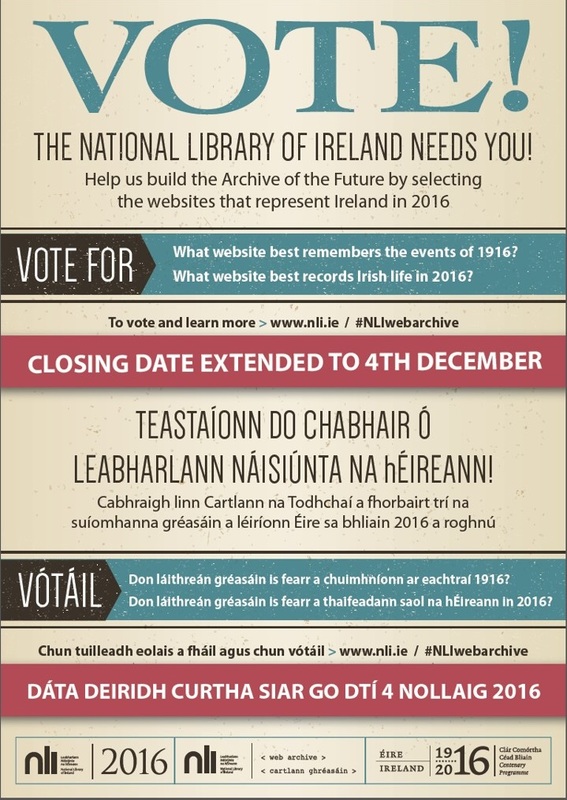 Suggest a website for inclusion in the web archive that you feel best reflects the events of 1916 and also a website you think best records life in Ireland in 2016. These websites will be preserved and will be an invaluable resource for generations of researchers to come. Please note the deadline has been extended until the 4th December.